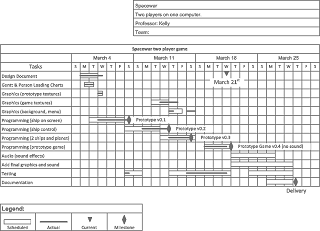 A Microsoft Visio Gantt chart for the Spacewar game. 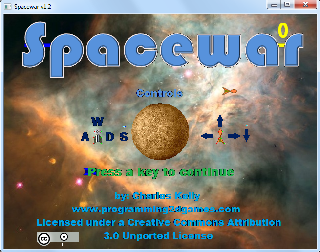 A complete version of the Spacewar game. Demonstrates most of the game programming aspects from the previous chapters. 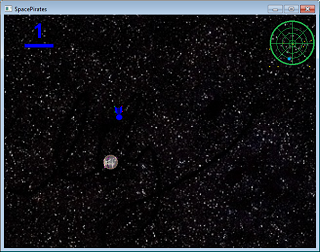 A single player variation on the Spacewar theme that includes saving and loading a game. Demonstrates how to save and load a game state. Demonstrates how to check for the presence of a file. 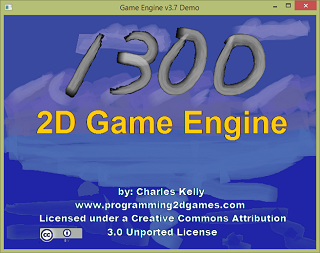 All of the game engine files in one location. This file contains the latest updates to the game engine code so it may not match the code in the book exactly. See "Change log.txt" for details. Displays some simple moving text.